A group set up to promote Kidsgrove have identified Kidsgrove’s rich heritage as a potential way to attract more visitors to the town. 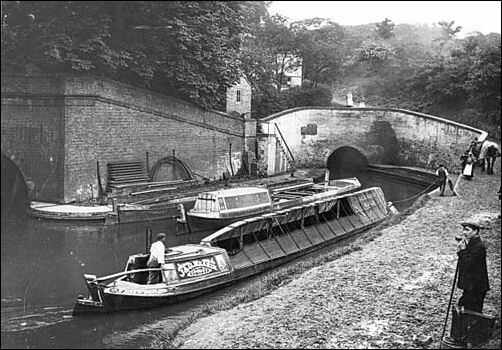 The Go Kidsgrove group aim to utilise the historical Harecastle Tunnel and Trent and Mersey canal to increase visitor numbers to the town. They have outlined a scheme to improve the canal waterfront to make it more appealing. More moorings, improved lighting, security and signage will be developed in a bid to attract canal users to visit the town centre. The waterfront development scheme was outlined to Newcastle Borough Council’s Economic Development and Enterprise Scrutiny Committee by Go Kidsgrove members in December. The report states “From our very first meetings it became clear that the project to improve the canal waterfront should be a local priority and we were given Jon Honeysett MBE’s plan he developed to provide more moorings, improve lighting and security and access to the towpath. We wil be developing these plans through a partnership approach to take forward a scheme. The project would be consistent with the Newcasle under Lyme and Stoke on Trent Urban Design Guidance that there is a need to ‘address and exploit the canal frontage’ and ‘improve and enhance the quality of pedestrian links to the railway station and canal’. We have since prepared a clear list of short, mid and long term projects and identified some basic costings and the project has now been put forward for European Regional Development Fund and Local Growth Fund.” Go Kidsgrove is a Town Centre Community Interest Company which is a private sector led initiative set up to promote Kidsgrove and increase visitors to the town centre. High Streets across the country have been hit hard by declining footfall, the rise of internet shopping and the effects of the recession – and Kidsgrove is no exception. Go Kidsgrove have identified that the town has a number of strengths upon which to build, including great transport links, strong community spirit and the potential afforded by increasing the canal trade. All over the country, businesses are coming together with their local communities to revitalise their towns. You can be part of Go Kidsgrove helping to make more people want to visit Kidsgrove and ensuring the future of our town centre – see page 17 for future meetings and details.